Blue-green foliage is slightly twisted. Can sometimes form a stout, pyramidal plant at maturity or remain rounded and broad. Numerous red pollen cones in spring are very striking. 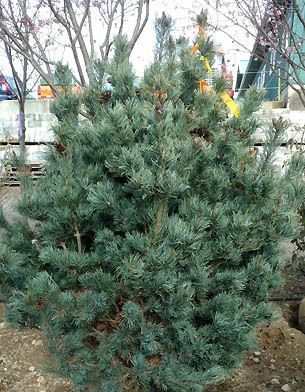 A handsome dwarf ornamental pine.